Coping with disability and the accompanying discomfort for which many patients suffer either from injury or illness is difficult to manage. However, with the assistance, guidance and encouragement from our professional staff, patient-clients learn to better cope with disability leading to more successful control of their symptoms and improving their way of life. 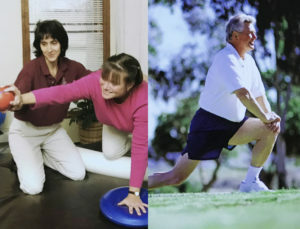 Hands-on care, patient education and supportive appropriate professional guidance of exercise, posture control and home programs will lead to better control of uncomfortable symptoms. ECRC-PT pain management is based on non-invasive treatments for both acute and chronic pain.